Cnooc LTD (CEO) has been compounding its book at an unbelievable rate of 17,3% on average per year during the last 10 years. Include last years dividend and you get 24,54% as a total annual return. 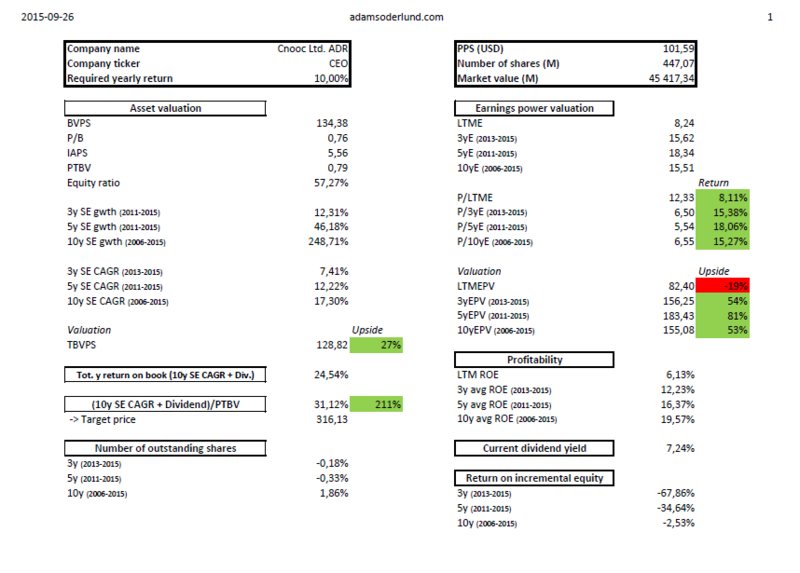 With an annual book value growth at 17%, an annual investor requirement at 10%, and a current price to tangible book at 0,79, the remaining upside is 211% motivating a share price of 316 USD/share.